This year share price volatility in the stock market has increased after several years of low volatility levels. With the enactment of the Tax Cuts and Jobs Act (“Tax Act”), companies are faced with a new tax environment and are adjusting strategies and policies accordingly. After years of delays, the Dodd-Frank mandated CEO Pay Ratio is now a required disclosure for the 2018 proxy filings, driving increased external scrutiny of pay programs and communications to both internal and external audiences. 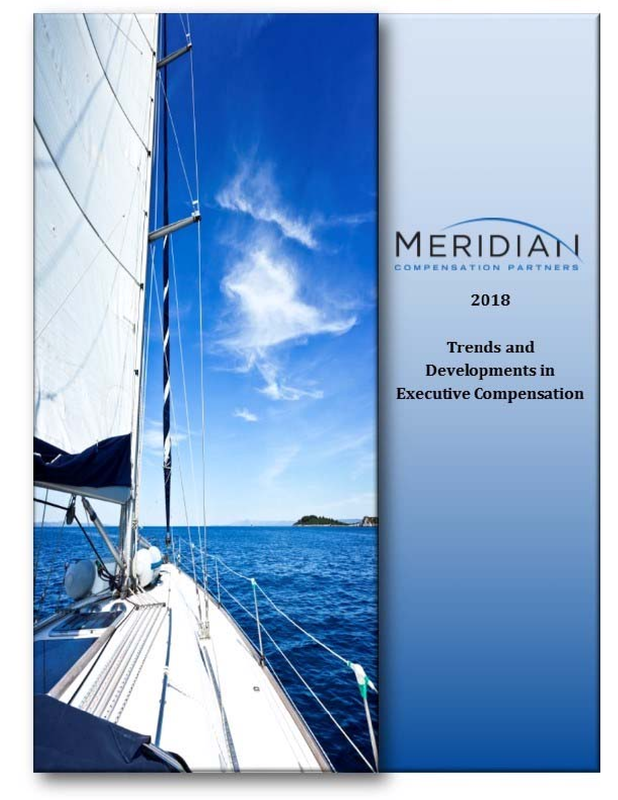 Accordingly, Meridian’s 2018 Trends and Developments in Executive Compensation Survey and its results are intended to provide an overview of the current environment and signal the direction in which companies are moving with respect to executive compensation and corporate governance practices. This survey features responses from 127 companies across a diverse range of industries, covering topics such as annual and long-term incentive plan designs, Say on Pay (SOP), the CEO pay ratio, tax reform and more. ■ Over four-fifths (81%) of respondents took steps related to their compensation programs and/or public disclosures to prepare for their 2018 SOP vote. The most common step taken was shareholder outreach. ■ Investor Relations was involved in 85% of shareholder outreach efforts, while involvement of other parties was dependent upon the specific circumstances (e.g., Compensation Committee Chair, General Counsel, CEO, CFO, etc.). ■ Of CEO Pay Ratio disclosures among respondents, roughly 50% of the ratios fell at or below 100:1, indicating an inflection point near this ratio among survey respondents. However, this ratio is highly dependent on company characteristics including global workforce, industry sector and company size. ■ Respondents reporting ratios greater than 500:1 were generally in the Consumer Discretionary and Retail Industries. ■ One-half of respondents reported compensation of the “Median” employee between $25,000 and $75,000, with an overall median of $65,000. 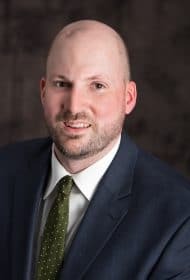 ■ As expected, the action most commonly considered in response to the Tax Act was the elimination of structures in annual and long-term incentive plans designed to qualify for the now-repealed performance based exemption under IRC Section 162(m). ■ Consistent with recent years, median merit increases for CEOs, executives and non executives continue to approximate 3%. However, 42% of respondents reported holding CEO base salaries flat for 2018 (17% for other executives). This indicates that many companies may no longer be providing annual base pay increases to CEOs and, instead, are making more periodic adjustments based on significant market movements or other factors. ■ The majority of respondents indicated that their annual incentive payouts for 2017 performance were at or above target. ■ As a likely indication of a positive economic outlook, approximately 60% of respondents set a 2018 primary earnings-related threshold goal higher than 2017 actual results. ■ A modest decline in the use of an EPS metric was observed, often coupled with a movement to profit metrics not measured on a per share basis. ■ Unlike last year, when the majority of respondents reported maintaining LTI grant values from the prior year, this year a majority of survey respondents (54%) reported that 2018 target long-term incentive grant values were greater than 2017 values. ■ For those respondents increasing grant values from the prior year (54%), the median increase was 9%. ■ Similar to 2017, the vast majority of respondents (81%) utilized one or two financial metrics in long-term performance plans. For the full report, please download the PDF. This survey was authored by Tony Meyer of Meridian Compensation Partners, LLC. Questions and comments should be directed to Mr. Meyer at tmeyer@meridiancp.com or 847-235-3651.